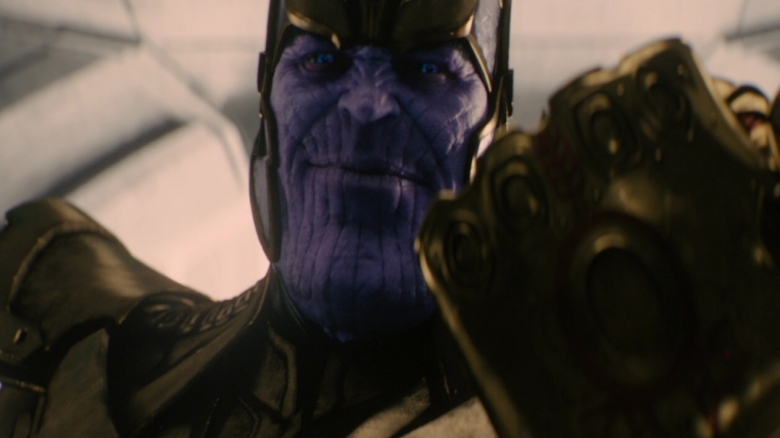 After brief appearances in Guardians of the Galaxy and Avengers: Age of Ultron, the Marvel Cinematic Universe is finally ready for Thanos to get off his throne and take the fight to the Avengers—and his Oscar-nominated portrayer, Josh Brolin, is definitely excited for filmgoers to see what the studio has planned for him in Avengers: Infinity War. In an interview with Moviefone, Brolin elaborated on Infinity War bringing all of The Avengers' stories to a climax. "Yeah, I sat at a table and I listened to the story from beginning to end. Sometimes you go around and you go, 'Oh, it's a great movie. Or this is a great experience,' and you kind of know that it's not. This is the opposite." Prior to Infinity War, we can expect Thanos to pop up here and there in Marvel's other upcoming movies: Doctor Strange (November 4, 2016), Guardians of the Galaxy Vol. 2 (May 5, 2017), Spider-Man: Homecoming (July 7, 2017), Thor: Ragnarok (November 3, 2017), and Black Panther (February 16, 2018). "It all comes down … these stories … these Avengers stories all come down to this conclusion, and that's our involvement. Basically, my character against everybody. And it's really fun what they've chosen to do with the story," Brolin added. "I think it's brilliant, personally. I was blown away, and had goose pimples pretty much 50% of the time that I was listening to what was going on, and pretty amazed that I'm going to be involved in it." The fight against Thanos begins in earnest when Avengers: Infinity War arrives on May 4, 2018. The second Infinity War film is set to debut on May 3, 2019.